After a first quarter that saw Verizon add 500,000 new LTE subscribers, the carrier now has 565,000 customers who are taking advantage of 4G speeds. Big Red confirms that 260,000 of these subscribers signed up for LTE after purchasing the HTC ThunderBolt, Verizon's first handset to be 4G enabled. The ThunderBolt was available for only 2 weeks out of the 90 days in the quarter. Betting on the number of LTE subscribers on Verizon to grow rapidly would seem to be a sure thing. 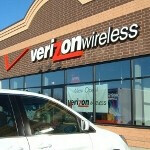 On April 28th, as we reported, the Samsung Droid Charge will be launched which will be Verizon's second LTE handset. Others are expected to launch throughout the year including the Motorola Droid Bionic (aka the Targa). Also on the LTE horizon for Verizon are a couple of 4G enabled versions of Android tablets-the Motorola XOOM and the Samsung Galaxy Tab. Verizon is chasing current 4G leader Sprint. Some have estimated that the Sprint has a couple of million 4G subscribers although the carrier never has broken out this figure officially. Sprint got off to a head start and starting selling 4G enabled handsets before Verizon even introduced the ThunderBolt. If Verizon keeps up the current pace of adding new LTE subscribers, by the end of 2011 it wouldn't be surprising to see Big Red overtake Sprint in this area. get ready for data traffic. Verizon's legendary 15 mbps download will go down to like 7 mbps >:D.
Only down to "7Mbps" that is still twice as fast as sprint's "awesome" wimax network. 7Mbps is still faster than majority of American's home internet service! Speeds will not be going down anytime soon. LTE only gets faster with upgrades. LONG TERM EVOLUTION YOU LOSER!!! @allday28 Wow LONG TERM EVOLUTION? Have you notice that the LTE we are using is still developing? We have no idea what could happen if LTE is overused thats why sprint doesnt plan to upgrade WIMAX because they fear it might cause alot of interferences. HAHA... Ok so let me clear some things up for you folks. Wimax is Garbage with a capitol G, clearwire is the company who is providing wimax service for Sprint and they are stuggling financially. The only reason Sprint is not putting up LTE atm is because they have a legal agreement with clearwire which prevents them from investing in any other 4G tech for a period of time. Wimax has a latency of 100ms... and a spotty coverage area at best which gives 3mbps to 6mbps. If you have sprint, try this little expiriment. While traveling in a car going about 65 miles per hour or faster, perform a speed test of ur 4g bandwith. Im just gonna ruin it for u in case u dont wanna take the time to do it. You will find that 4g wimax doesnt work if ur going faster than 65 miles per hour. EPIC FAIL. LTE FTW. So at 64 your good right? Great thing my moped tops out at 64 not 65!